Over 100 years of Manufacturing Awnings and Nothing But Awnings! Originally located in Brooklyn and Queens (we still perform installations in both boroughs every day) National Awning, Globe Awning and Deluxe Awning have recently joined forces to form one company, located at 23 W Jamaica Avenue,11580 in Valley Stream, NY. 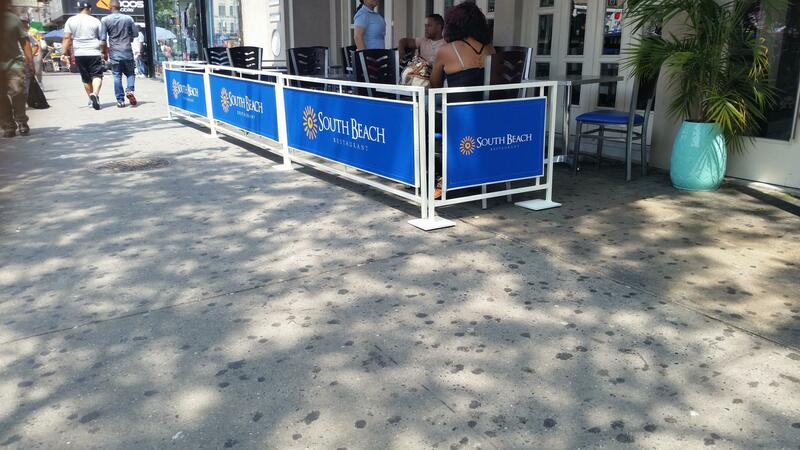 We are strategically placed to facilitate easy access for sales and service of awnings for homes and businesses in Brooklyn, Queens and Nassau Counties as well as surrounding areas. Get in touch with us today! We produce awnings, and nothing but awnings, which is all we have done for well over 100 years, making us true experts at what we do. We manufacture ALL types of awnings which can be customized to fit your exacting needs. We produce a wide variety of residential awnings, including aluminum awnings, canvas awnings, Lexan awnings, sign awnings (NOT regular signs), backlit awnings, vestibules, drop curtains and retractable awnings in both the American and European systems. We also manufacture barricades. Combining the operation of all three companies allows for greater efficiency, and for all components of awnings for the three companies to be manufactured in-house, providing greater quality control and savings which can be passed on to the consumer. During the many years we have been in business, we have been sought out by movie and television producers to manufacture awnings that have been used on numerous movie and television sets, an illustration of the quality of awnings we can produce, not only for the film industry, but also for you as the consumer. Efficiency to the Power of 3! Our headquarters in Valley Stream, NY is one of the only facilities in the United States that manufactures awning arms (pictured below right) resulting in savings we pass on to our clients. Our awning arms are manufactured in-house of the highest quality materials and are not only used in the awnings we produce but are also offered on a wholesale basis to other awning dealers and manufacturers. We ship our awning arms worldwide. Globe awning has also completed multiple awning jobs for the film industry. We manufactuer and install awnings on many different film sets. Some of our work can be seen in men in black 3, bridge of spies, in the mind of lou and davis, and sasha baron cohan's movie the dictator. Call us today for a free estimate! Get a quote on the best quality awnings in the industry, offered at extremely competitive prices.